I think I've mentioned this before, but there's hardly anything I love more than taking on a sort of character when I get dressed in the morning. Some days I wake up and feel like prepping-out in my cable knits and tassel loafers, other days I want to wear all black and ballet flats a la Audrey Hepburn, and sometimes, when I'm feeling particularly out-of-sorts, I want to get my boho on in a slouchy tee and fringed suede. I would say you could call it glam-bo-pioneer-chic, but that sounds a little too, don't you think? The point is, where can I get this hat? 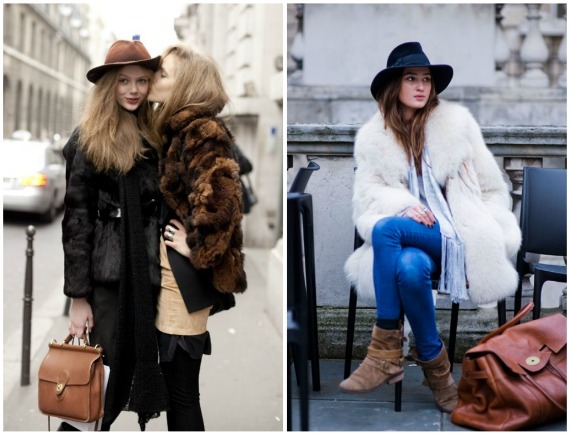 I am still on the hunt for the perfect faux fur coat for Winter. Under $200, maybe leopard, maybe sable... longish length... any ideas? This look is STUNNING! I love the faux fur look too! When I wear it, I feel so glamourous! I got 2 fur vests at Marshalls! Great prices! I love that look too! !